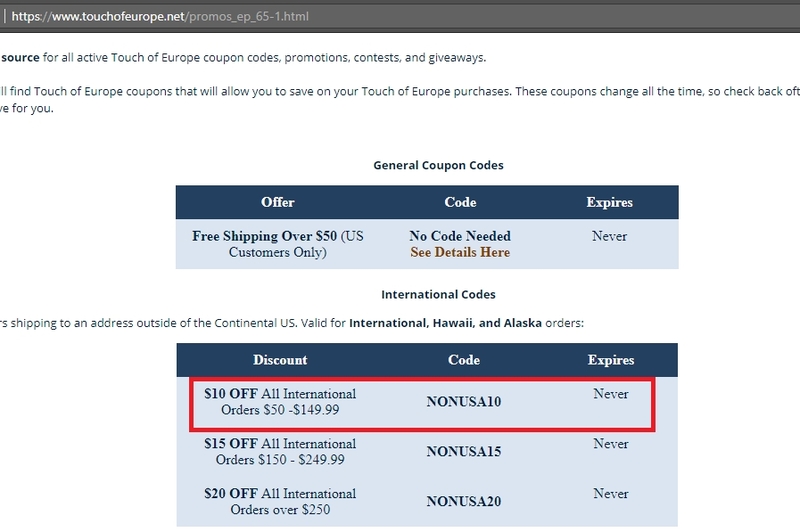 RJ Tested this promo code for [storename] and verified that it works as described. Just enter the code at check out to get $10 Off Shipping Rate on All International Orders Between $50 to $149.99. 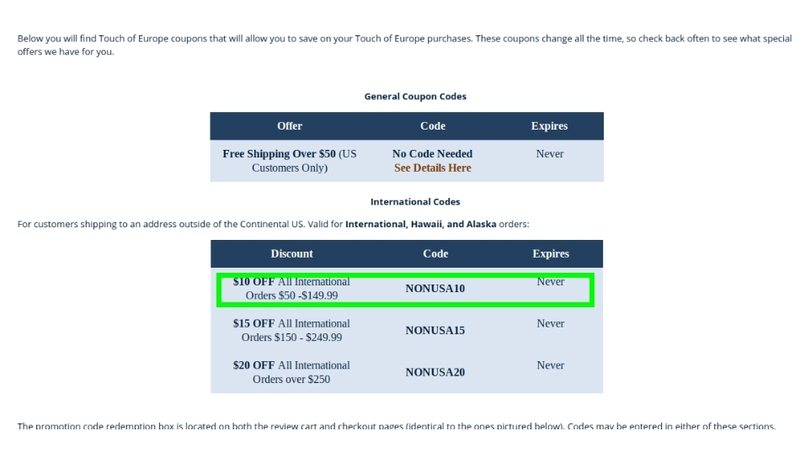 RJ Tested this promo code for Touch of Europe and verified that it works as described. 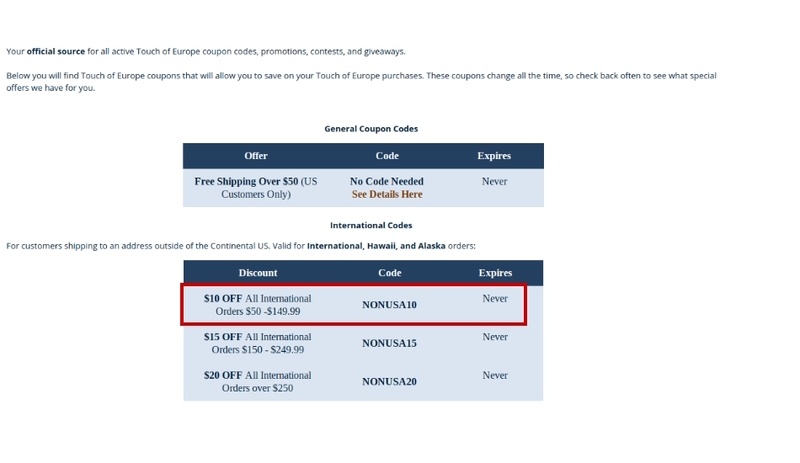 Just enter the code at check out to get $10 Off on All Internatioanal Orders Between $50 to $149.99.